Zubair A. Khurshid, management consultant. I’m a freelance management consultant currently residing in Malaysia. I’m an adjunct faculty member and guest speaker for executive master’s degree programs at renowned universities in Pakistan. 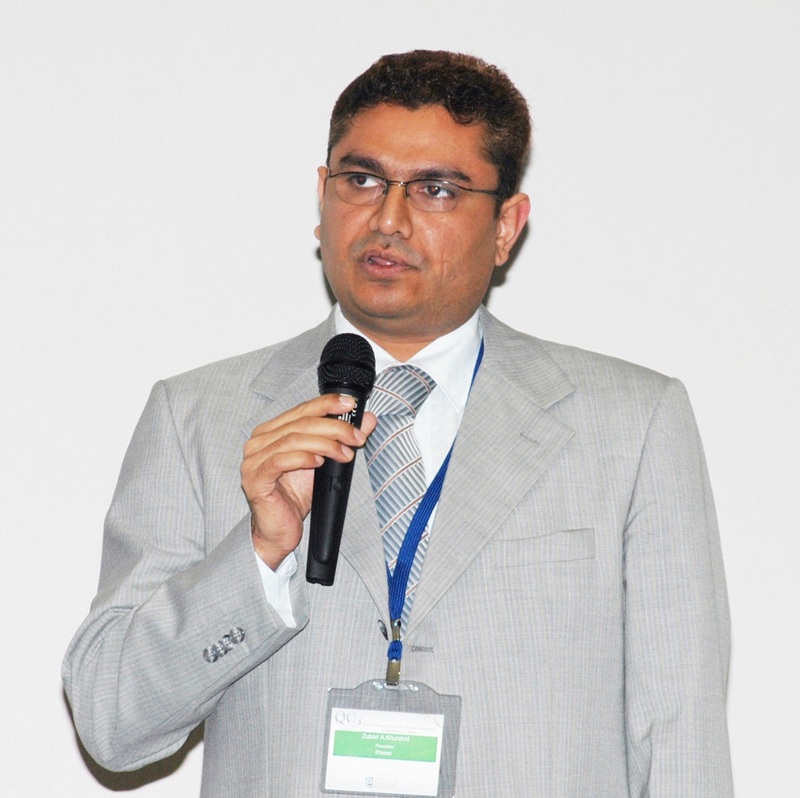 I’m an ASQ author as well as presenter of different research papers in international conferences. I have experience of working with world-class consultants including McKinsey, AT Kearny, BCG, Ernst & Young, BSI, Detecon Gmbh and Booze & Co in specialized areas in UAE. Management consultant with core expertise in Six Sigma, ISO 9001, program management, strategy formulation and implementation, capital and operating budget management, business process reengineering and corporate governance. I’m member of various forums including IEEE, APICS, PMI, GuidePoint Global US, Coleman Research Group US, and life member of Pakistan Engineering Council and Old Ravians Society GC University Lahore Pakistan. I have been commended several times by my employers, peers and associates. Bachelor’s degree in electrical engineering, master’s degree in engineering management and an ASQ-certified Six Sigma Black Belt, Green Belt and manager of quality/organizational excellence. Student member in February 2007, upgraded to full member in 2008 and then upgraded to senior member in April 2010. Creating a focused problem statement, training and coaching staff including Six Sigma Green Belts, keeping stakeholders updated, change management and maintaining accurate data sheets. Six Sigma program elevates and engages the entire organization eventually and is a strategic tool to aid fact-based decision making. Six Sigma, whether processes or projects are highly focused, results-oriented and result in conspicuous financial gains. Quality is natural to life and organizations. It enhances productivity and performance. Standardization, innovation and excellence from continuous improvement. Quality is the best tool for top managers and it enhances planning, leadership, and organizational sustainability. In quality, we have a yardstick to measure and eventually control the systems, processes and ultimately organizations performance. Embrace quality and become a change agent in your organization.